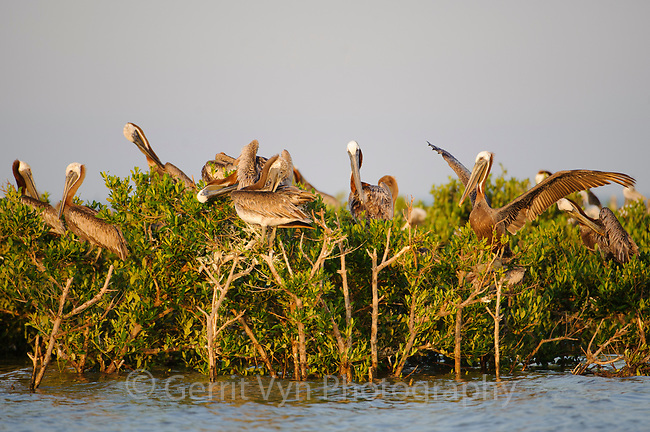 Adult Brown Pelicans (Pelecanus occidentalis) roosting on mangroves in a Barataria Bay nesting colony. Plaquemines Parish, Louisiana. July.